Dortmund host Bayern Munich in Der Klassiker looking to maintain their unbeaten start in the Bundesliga – its Borussia Dortmund vs Bayern Munich live streaming from Signal-Iduna-Park (KO 17:30). With seven wins and three draws from their opening ten games Dortmund occupy top spot, four points ahead of rivals Bayern, who in contrast, are in the midst of their worst start to a league campaign in seven years. And defeat for Bayern on Saturday could spell the end for Niko Kovac, despite only being in charge since the summer as the pressure continues to build. A defeat today could really spell the end for him. No team has scored more goals than Dortmund in the German top tier this season and they are unbeaten in all competitions at Signal Iduna Park this season. BVB have netted an astonishing 30 times in 10 games averaging 3 goals a game. 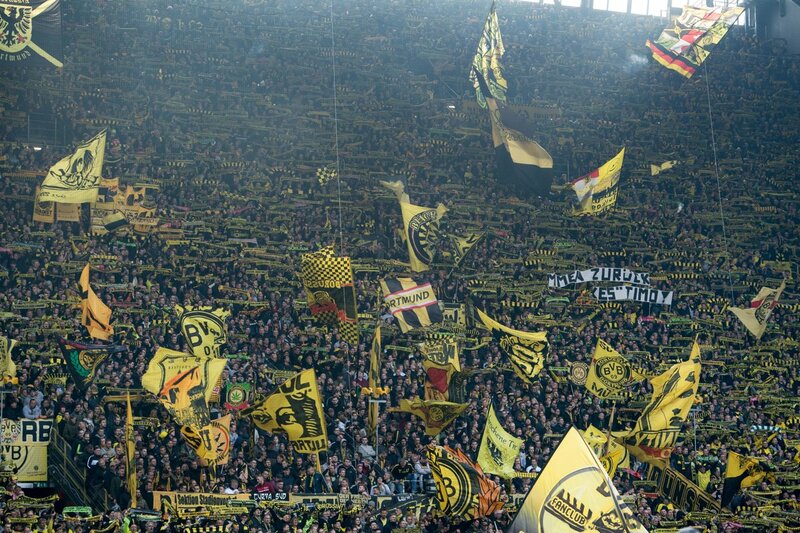 Dortmund are 11/8 to score two or more goals on Saturday. Despite a poor start, Bayern will move to within a point of Dortmund if they secure another win on the road. The German champions have taken 12 points from a possible 15 away from home so far this season in the league and are 11/10 to record yet another victory over their rivals. Bayern have dominated the ‘German Clasico’ in recent years winning four of the last six encounters, including a 6-0 demolition job back in March. Paco Alcacer is a man in form. The Spanish striker has seven Bundesliga goals so far this campaign and is 13/2 to open the scoring. Bayern’s biggest threat will be Robert Lewandowski, the target man has netted 12 goals in his last 15 appearances against his former side and is 15/4 to score first. But the man grabbing all the headlines of late, especially in England, is Jadon Sancho. The youngster has bagged five goals and seven assists in all competitions and is flourishing under Lucien Favre. The winger is 13/5 to score anytime. Despite their unbeaten start to the season and home advantage, Dortmund head into this game as underdogs at 11/5. The draw is available at 29/10 and Bayern are 11/10 to bag all three points.